Update: I now have screen shots of the Perq Operating System and its associated applications. This is a compilation of what information I had been able to dig up over the years prior to that. Perqs weren't even common back when they were being produced, but they played an important role in GUI history, and thankfully there are now a number of other Perq resources. The kind folks over at Bitsavers have archived disks and manuals for the Perq. Also see my Perq links. Loosely based on the design concepts of the Alto, the Perq was was the first commercial graphical workstation. Bit-mapped 768*1024 portrait monochrome display with hardware to accelerate drawing. 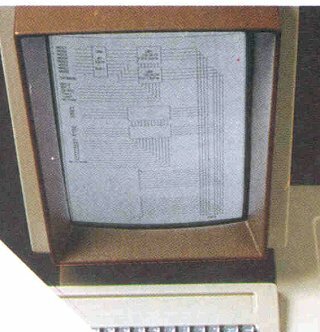 The Perq was developed by Three Rivers Computer Corporation based out of Pittsburgh and manufactured by ICL, a UK company. Only a very small number of Perqs were produced (somewhere around 5000) but were used in research and universities and were therefore very influential. 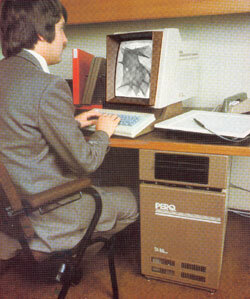 Originally marketed as a graphical "personal workstation", the Perq was intended to put uninterrupted mainframe power at the hands of the individual user. A prototype was demonstrated in August 1979 and they were already taking orders, but during 1980 there were severe production delays. Final working units were demonstrated publicly in July 1980 and the first shipping units were delivered about a month after that. 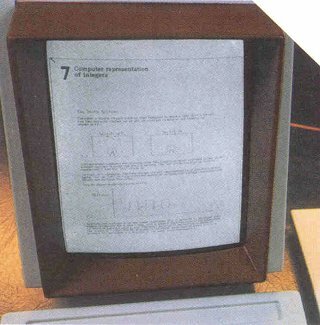 An editor that made use of the Perq display. Several different implementations of UNIX. This little guy is from the game PerqDebugger (It chases bugs around a maze) AKA "Perqman". Although the Perq and the Alto shared some general features, the Perq had some interesting differences. Both had a microprogramable processor (That is, you could make your own machine code instruction set), but the default instruction set on the Perq, called Q-Code, was designed to be similar to the Pascal P-Code, a Pascal language based virtual machine. 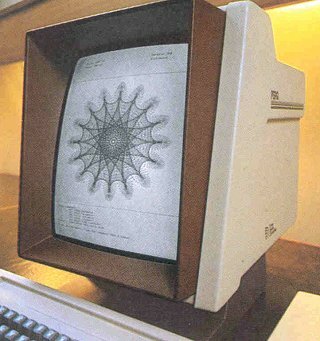 The Perq used special hardware that accelerated the drawing of graphics on the screen. The result was that the display, especially for animation, was much faster than the Alto. 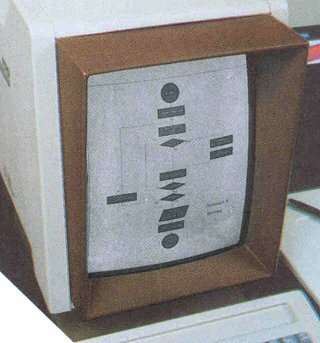 The Xerox Alto was never commercially marketed. However, the Perq quickly began to feel competition as two new manufacturers of high end scientific graphical workstations emerged: Apollo and SUN. 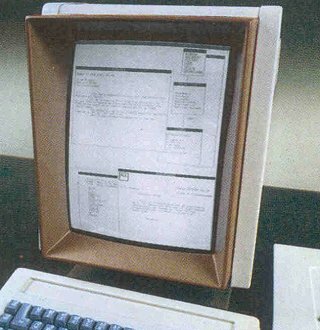 Later on the Xerox Star and Apple Lisa also competed in this area. 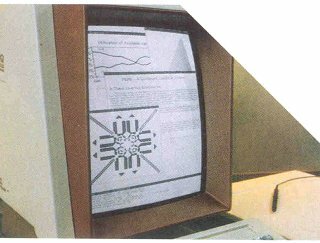 Shown here are photos of Perqs displaying various mock-ups. These are from an early Perq sales brochure.